These meltable blocks are melted gently in a microwave or in a cooking pot and poured into your moulds to create professional prosthetics. Can be re-melted and used again. A very versatile material. 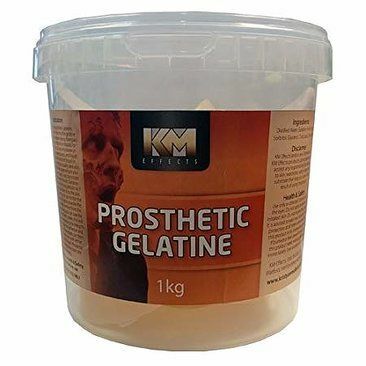 We recommend injecting this gelatine into slightly pre-heated epoxy, fibre-glass or scraping into flat silicone moulds for best result. PLEASE NOTE: Please do not allow gelatine to boil or fume as this will reduce this quality.